Razor Blades Club (“we”, “us”, “our”, “www.razorbladesclub.com” or “the website” or “our website”) values your privacy and is committed to protecting your personal information. 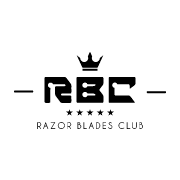 The website www.razorbladesclub.com is owned and operated by Razor Blades Club registered in Sweden (VAT number SE820320254701). Razor Blades Club is committed to safeguarding the privacy of members, subscribers and users to the website. We will only use the information that we collect about you lawfully in accordance with the Swedish Electronic Communications Act (Lagen (2003:389) om elektronisk kommunikation). We may use personal information collected from you for the purpose of providing you with direct marketing material and information in the form of a newsletter. This will only apply if you have registered or subscribed to such publications by your registering your details with us. However if you wish to cease receiving any such information you may let us know either by email or mail and your request will be actioned as soon as possible. Individual profile and company details are not used for any other purpose. Details are only supplied to a third party supplier when it is required by law, for goods or services which you have purchased or to protect www.razorbladesclub.com copyright, trademarks and other legal rights. – We may share your information, including personally identifiable information, with third parties to assist us with our own marketing efforts and to assist us in processing payments, fulfilling your order, and generally maintaining our Site and satisfying your Membership. We also may share your information with third parties to facilitate the sign-in process through third party social networking websites. – We also may disclose the information we collect from you where we believe it is necessary to investigate, prevent, or take action regarding illegal activities, suspected fraud, situations involving potential threats to the safety of any person, or violations of our Terms and Conditions or this Policy. We have implemented commercially reasonable precautions, including, where appropriate, password protection, encryption, SSL, firewalls, and internal restrictions on who may access data to protect our website and the information we collect from loss, misuse, and unauthorised access, disclosure, alteration, and destruction. The information which we hold should be accurate and up to date. In accordance with your right of access to your information, you can request the information that we hold about you by emailing us. If you find any inaccuracies we will correct it promptly. The personal information which we hold will be held securely in accordance with our internal security protocols and the law. We will from time to time send emails to members and subscribers regarding various promotions or other information including tailored content that we believe may be of interest to our members and subscribers. If we send you any news and newsletters, promotions, special offers or other information we think may interest you, you may stop us sending you such e-mail communications by following the opt-out instructions contained in any such e-mail. Please note that it may take up to fourteen (14) days for us to process opt-out requests. Please note if you opt-out of receiving emails about recommendations or other information we think may interest you, we may still send you e-mails about your account or your products / services you have requested or received from us. Finally, our website may contain links to other third party websites. Any access to and use of such linked websites is not governed by this Policy, but, instead, is governed by the privacy policies of those third party websites, and we are not responsible for the information practices of such third party websites.